I always say, the best things in life are homemade. Sauces are the perfect example. If you want to make a meal taste over-the-top-delicious, the sauce needs to come from the heart! It's the part of the meal that is drenched over every bite and highlights the rest of the ingredients. 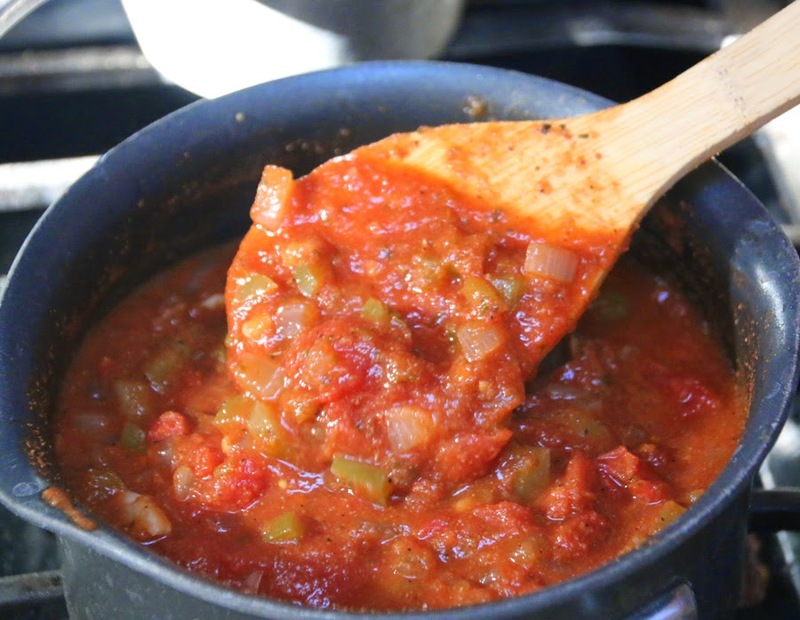 Next time, take that extra step and make your own sauce ... you won't regret it! Sauté onion, green pepper, garlic and jalapeno in olive oil for about 5 minutes or until onions are translucent. Add in spices and tomato paste. Mix well. Lastly, add in your tomatoes, juices and all. Bring to boil then cover and turn down heat to low. Simmer until you are ready to use. The tomatoes will begin to breakdown and use your spoon to help them out.